Gov. Bruce Rauner listens to President Barack Obama speak in Chicago. Rauner and the General Assembly are entering into a new round of budget talks during their veto session. With the clock ticking on the state’s stopgap spending bill, legislative leaders met with Gov. Bruce Rauner this week to discuss budget priorities. After a year-long budget impasse, the General Assembly passed a six-month stopgap spending bill in late June that is set to run out on Dec. 31. A veto session started this week, in which Rauner and the Republicans are expected to negotiate a budget for the rest of the fiscal year with House Speaker Michael Madigan (D-Chicago) and other Democrats. Rauner met with Madigan, Senate President Sen. John Cullerton (D-Chicago) and Republican legislative leaders Tuesday. Both Rauner and Madigan described the meeting with amicable terms. After the meeting, however, Madigan announced he was appointing a negotiating team for the House Democrats led by Rep. Greg Harris (D-Chicago). Harris and other team members would be responsible for “balancing the budget and adopting a budget for the remainder of the fiscal year,” Madigan said. Senate Republican leader Rep. Christine Radogno (R-Lemont) said she was confused by Madigan’s announcement. Radogno said the legislative leaders — not working groups — needed to make the final decisions. In a news conference on Wednesday, Rauner said he pushed five key reforms in the meeting. 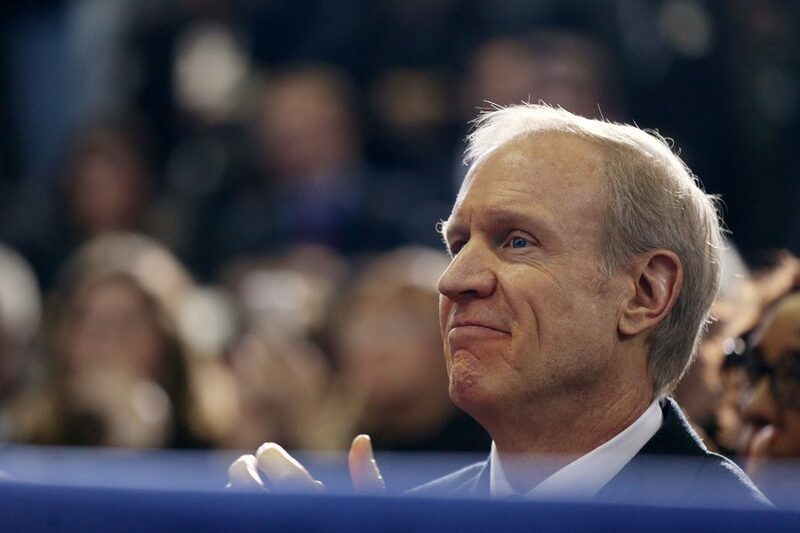 One initiative Rauner said he brought up at the meeting was workers compensation reform. Rauner and the Republicans introduced a reform bill last year. The state’s current system was “not fair,” he said. Rauner said he also brought up term limit reforms during the meeting. Although Rauner is also looking to push property tax relief, unfunded mandates, education funding and pension reform, he said he doesn’t need everything on the list in order to get a budget passed. “Progress is slow, but we’re going to be persistent,” he said. Madigan urged lawmakers to follow framework used in the past rather than spending time on the initiatives and reforms Rauner is pushing. “If we all work together, recognize each other’s interests and abilities, we’ll come to a successful agreement,” he said. Both the state House and Senate are back in session on Nov. 29.